Adrianne Ross, MD, has been involved with meditation and healing since 1978. Her teaching is influenced by Burmese and Thai streams of Theravada as well as Dzogchen and contemplative practices. She teaches Mindfulness-Based Stress Reduction to people with chronic pain and illness. 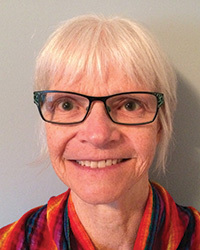 She recently retired from working as a family physician to devote more time to personal practice and teaching retreats in Canada and the U.S.